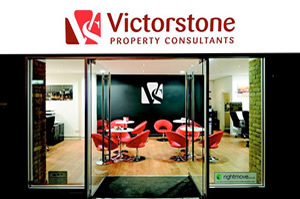 Victorstone is one of London's most dynamic property companies because we focus on doing the simple things to the very best of our ability. 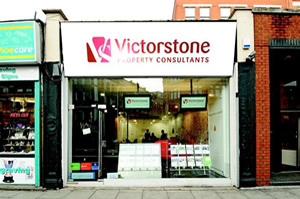 We pride ourselves on honesty, transparency and an unwaverin Read full description...Victorstone is one of London's most dynamic property companies because we focus on doing the simple things to the very best of our ability. We pride ourselves on honesty, transparency and an unwavering commitment to our clients. We never over-reach and we will never make promises we canâ€™t keep. Our values are based on a belief that when clients come to us, they are treated with the utmost respect and care. Not only does this manifest itself into a loyal clientele who come to us time and time again, itâ€™s testament to our professional, ethical approach to buying, selling and leasing property. We employ and retain some of the most experienced, knowledgeable and competent agents and negotiators in London and we play to each otherâ€™s strengths. We are a team in the true sense of the word and because we work cross-departmentally, we can offer an effective, comprehensive service that you can rely on, and one that gets results, time and time again. Agent fees were very fair indeed, no complaints whatsoever. More expensive than previous experiences in London. The grievance will be acknowledged within 3 working days and then investigated thoroughly in accordance with established âin-houseâ procedures. A formal written outcome of the complaint will be sent to you within 21 days. If we require longer than this timescale we will advise you in writing and confirm our revised response date. If you remain dissatisfied with the result of the internal investigation, please contact The Operations Director who will review the complaint.